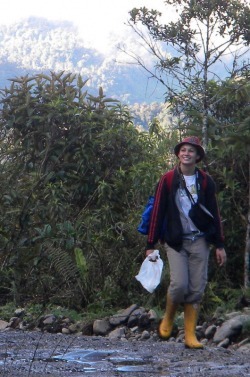 Why did you decide to go on the Yanayacu Research Trip? My professor knew the group was coming and he could send one student and he asked me to go. What was the most important thing you learned? How the forest works. Everything is necessary. Everything is interconnected. One thing leads to another. How has this experience changed you? It has allowed me to see how much I like field biology. Talking to people at the station, volunteering, it makes me know what I want to do and start doing it. What are your plans for the future? I want to keep learning! It is the most important think I have learned. Maybe volunteer at the University Museum to work with the birds and to learn more. What advice would you give a young scientist? Observe!